849 - 1346 Sq. Ft.
RISHI VENTOSO, one of the most sought after Hi-Rise Residential project finely positioned right on Jessore Road Highway, in Madhyamgram (between Star Mall & Madhyamgram Chowmatha) comprises of aesthetically planned 3 nos. of B+G+11 & 1 no. of G+11 storied Towers with 154 apartments . 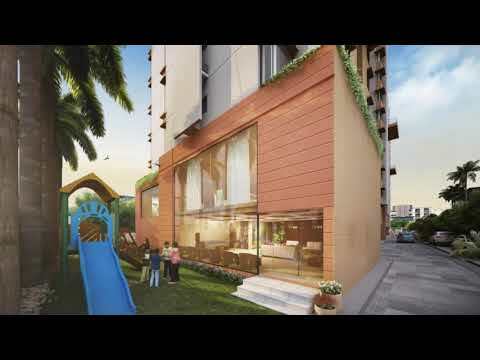 The Project offers you South Facing 2 & 3 BHK flats with dedicated Wardrobe space alongwith remarkable Roof-Top Amenities which includes Infinity Splash Pool with Kids pool & deck, Open-Air Mini Amphitheatre, Water Feature, Adda zone/Senior Citizen sitting area, Party Zone etc along with other amenities like Air Conditioned- Gymnasium, Indoor Games room, Kids Zone, Community Hall etc. The Project is surrounded with several well known Schools & Colleges coupled with Hotel/Restaurants, Local Markets, Airport, Railway Station & Upcoming Metro Stations all within 15 mins. reach. Shopping Mall/Entertainment hotspot Star Mall with multiplex is also within one minute distance. BLOCK - 4 2BHK + 2T 898 N.A. BLOCK - 4 2BHK + 2T 901 N.A. BLOCK - 4 2BHK + 2T 849 N.A. Earth Quake Resistant RCC Framed Constructions with Brick Wall. Wall Plaster of Paris / equivalent over Fly Ash bricks / AAC Blocks Surface. Bedroom /Living / Dining Room- Vitrified tiles / Anti-Skid Ceramic Tiles with Skirting. Flooring- Vitrified / Anti-Skid Tiles. Dado Tiles upto 2 ft. above the counter / platform. Provision for installing Exhaust Fan. Electric Point for Refrigerator, Water Filter and Microwave. Anti-Skid Ceramic tiles for flooring. Wall Tiles up to door height. Electrical points for Geyser and Exhaust Fan. Plumbing provision for Hot/Cold water line. A.C.Points in living / dining and all bedrooms. 15 Amp and 5 Amp electrical points in all Bedrooms, Living / Dining, Kitchen and Toilets with protective MCB’s. Door Bell point at the main entrance door. Cable T.V. & Telephone Provisioned points in living / dining. Door Frame - Made of treated wood. Main Door- Flush doors with wooden primer , Handles, Eye Piece & Night Latch. Internal Doors - Flush doors with Wooden Primer & Stainless Steel Locks at all Toilets & Bedrooms. Fully glazed Anodized Aluminum windows. Dedicated Ground Floor Lobby for each Block/Tower. Flooring mix of Stone/ Vitrified Tiles. Stone/Tile Cladding/ Acrylic Emulsion Paint in the Lobby Area. Staircases - Stairs laid with Stone / Tiles. Wall of Lobby area - Stone/Tile Cladding/ Acrylic Emulsion Paint. Lobby Floor - Vitrified tiles / Stone in floor. 1 no. Lift/ Elevator in each Block/Tower. 1 no. Stretcher Lift/Elevator in each Block/Tower. Appropriate Water Proofing & Heat Insulation. Adequate LED Illumination in all Lobbies, Staircases & Common Areas. ‘RISHI’ is the flagship brand of the real estate division of RISHI Group. Established in 2007, its real estate division turns barren lands into landmarks under the brand ‘RISHI’. Rishi Ecoview, Rishi Enclave, Rishi Tower, Rishi Tech Park stands tall today in Eastern India, building the brand’s reputation in a short span of time. RISHI is one of the most valued real estate organizations in Eastern India, known to deliver the finest architecture and a stellar quality of life. Growing at top speed, RISHI Group has innovative residential and commercial project lined up including ARTISTA and Rishi VENTOSO comprising of about a million sq.ft of affordable residential homes. Since 2009, the group has ventured into KPO Globally as Edit International rendering Content - editing, management, electronic document management services to international publishing, legal, medical, healthcare, scientific and engineering research organizations with its development centre in Chennai and CRM offices in London, UK and New York. To create Emotional Infrastructure, loyalty and employee friendly environment down the organization. From affordable home designs to low-priced commercial developments, the award-winning visionaries at RISHI are changing lifestyles forever. Diligent, passionate and insightful in every regard, the team continues to provide solutions to every rational requirement with design and forward thinking. The Group prides in its investors and client strong referrals to friends and family traveling with the company from one project to another. In addition, that really says it all. Timely completion of projects, benchmark quality, and transparent fair dealings have established its credentials across the length and breadth of the real estate vertical. The next decade is going to be extremely exciting as the Group expands throughout the country from its home ground Kolkata. State of the art residential, commercial and infrastructure developments are bein drawn up as we speak. Content provided by Rishi Group. Info Edge (India) Ltd. disclaims all warranties against infringement.